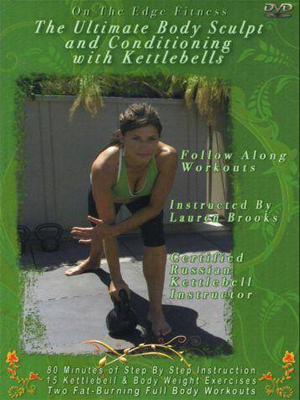 This Kettlebell Way success story, from Suzanne Prickett, is featured in Woman’s World magazine, May 4, 2009 issue. You can read the magazine’s excerpts below to find out how Beth Chamberlin’s Kettlebell Way DVD has helped Susan. The car accident that she had, left Suzanne with a devastating back pain and unable to work out like once she had. At first, she seemed fine. But soon, the pain was so intense. Her husband had to do the cooking and cleaning. She had to let her prized garden go. She was forced to spend her free time on the couch instead of jogging or playing with her grandchildren. She doesn’t even feel like herself anymore—she said. As weeks passed, Suzanne found herself in a vicious cycle, turning to comfort foods like chocolate, pizza and cookies — which caused her to gain weight and only made her back pain worse! The additional pounds on Suzanne’s 5-foot frame were a major health risk. Her doctor warned her, “You have to lose weight.” But Suzanne wondered how she can ever do it when everything hurts so badly. One day Suzanne picked up a magazine Camille had brought over. When she was flipping through it, she discovered an article about how Beth Chamberlin of Guiding Light, had used something called kettlebells to get back in shape. She found out that kettlebells were especially good for people with bad backs because they focused on momentum instead of directly lifting weight — which could put pressure and stress on back muscles. 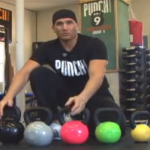 What is kettlebell? Doing a quick internet search, Suzanne found out that kettlebells — which looked like cannonballs with handles — were developed in 18th-century Russia as exercise devices, and were still used by Russian athletes today! If it had worked for Beth, Suzanne dared to hope, that it could work for her. Suzanne ordered a 10-lb. 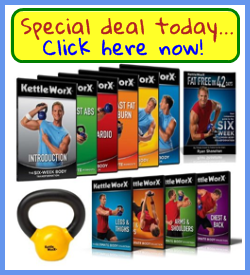 kettlebell — the weight recommended for beginners — and the DVD Beth Chamberlin recommended, The Kettlebell Way to Perfect Body. Suzanne worried when the packaged arrived in the mail — it’s pretty heavy. 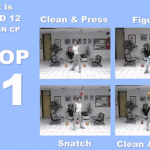 But as she watched the video and learned how to swing the kettlebell from side to front and then back again in fluid movement, she marveled how it didn’t put a strain on her back. 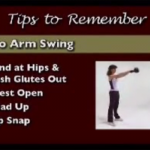 After the 40-minute video was over, Suzanne knew she’d had a real workout. She also felt great, because finally, she was doing something. And yet, her back didn’t hurt a bit! Suzanne kept at it, working out with her kettlebell 3 x a week. After just a few weeks, she noticed a huge difference: her arms and legs felt stronger, and when she reached for something — no pain at all! And when she stepped on the scale — she has lost 25 lbs! Just 2 months into her new routine, she could replace her size-20 clothes with 12s! Her weight wasn’t all that dropped — her blood pressure returned to normal, too! Suzanne’s back pain has banished, and now she can run, garden and dance with her husband and their grandchildren again! Source: Excerpts taken from Woman’s World, p. 40, May 4, 2009 issue.